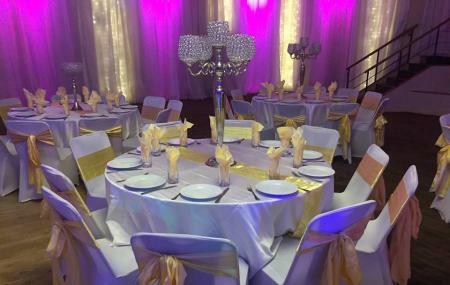 The Imperial Banqueting Suite is an elegant venue in the West Midlands which is perfect for weddings, dinner, dances, private parties or charity events. Having a seating capacity of 650 people, the versatile place is great if you wish to hold professional conferences and meetings. The place has a rich history and you can find out more about it by visiting there. Also, the great thing about the place is the fact that it is located at the perfect walking distance from the city centre and has free parking all around the area. Try the best Bilston trip planner to visit this Imperial Banqueting Suite as well as many others. You can enjoy a comfortable stay in the city by booking the best hotels in Bilston like Best Western Barons Court Hotel, Holiday Inn Express Walsall M6, J10 and Ibis Styles Birmingham Hagley Road. Choose from variety of exclusive Bilston vacation packages for your next visit or create own own. Check out the various options for how to reach Bilston and finish off your vacation package by booking the ideal transfer. Attended a charity boxing event. Excellent room bar seems small but the staff were fantastic got thru the queue in no time. Had a really good evening. Not even worth a 1 star. My friend had her wedding reception here. She had to go there the day before to clean up for 4 hours as the place was disgusting and filthy. The seat covers some of them had holes in and were dirty so they staff decided to hide them. They paid 2500 for the room then had to pay an extra 200 to go in their earlier. The place was freezing and they got told they would need to pay extra for the central heating to be put on. They made the dj pack up half an hour before he should of and they had to leave the venue early even though they paid till midnight. The bride was left in tears after being on the phone to the manager who said I'll give you an extra 15 minutes to which the dj was already packed up. Do not recommended at all spend your money somewhere else!! !